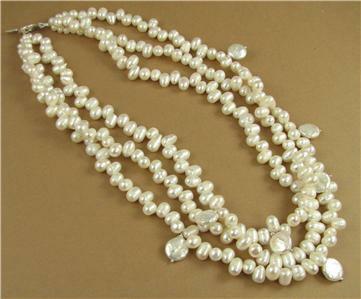 Home › Chunky pearl necklace. 3 strands. Fine and Sterling silver. Handmade. 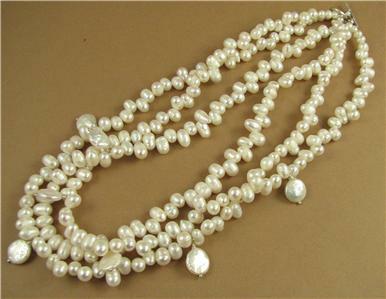 Chunky pearl necklace. 3 strands. Fine and Sterling silver. Handmade. 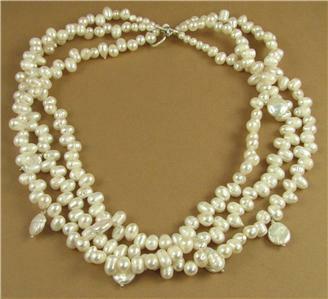 This is a very striking chunky 3 strand pearl necklace. 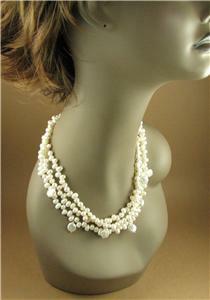 It has 3 strands of freshater teardrop shaped pearls, with some added disc shaped pearls here and there. 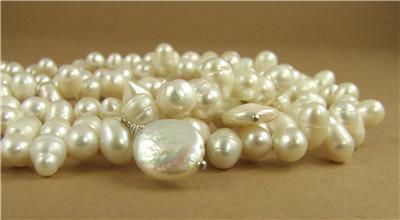 It closes with a fine silver clasp. 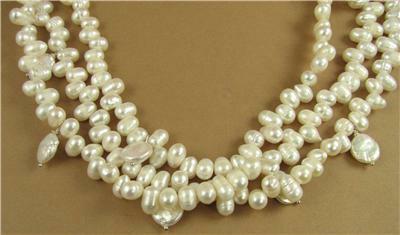 The necklace is 18.25 " long. 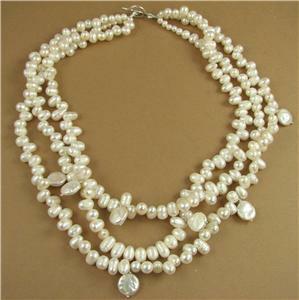 I am the designer of this necklace and I have made it with my own hands. 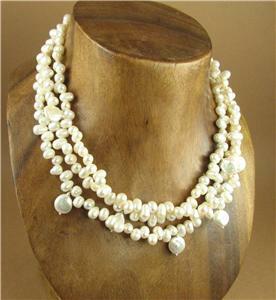 I have been making my living exclusively from designing and making jewellery for 9 years. I travel every year to seek out old and tribal silver from Asia and India along with semi-precious stones. Back at home in Brighton, England, I make these loose pieces up into beautiful and unusual jewellery. Amethyst and silver flower necklace. Chunky. Purple/white. Sterling silver 925. Amethyst and silver necklace. Cluster. Fine & sterling silver. Handmade. Amethyst necklace and earrings set. Fine & sterling silver. Handmade.